Your unique on-line product specialist! Uneat.com is happy to provide you, our customers with a unique selection of personal and business organizational products at wholesale prices. Our buyers travel the world in search of our unique products. We are 100% confident that you will be happy with your purchase. Our products are tested for quality and durability and we guarantee the lowest retail Canadian pricing for our products. Uneat.ca is a division of Idn Inc. 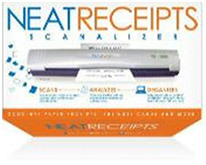 The SCANALIZER is a scanner and software system that helps you stay organized. You scan your papers, you organize them on your computer. It's that easy. 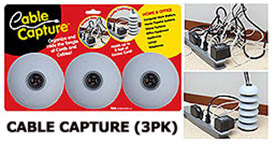 Cable Capture™ provides a simple, elegant and inexpensive solution to the problem of excess cords. Cords are neatly contained and kept safely out of the way. The ultimate laptop heatshield. Keep your laptop cooler by up to 30 degrees and shield your lap by up to 60 degrees. Extend laptop life and keep your legs happy. No Fans -- 100% Passive Cooling!